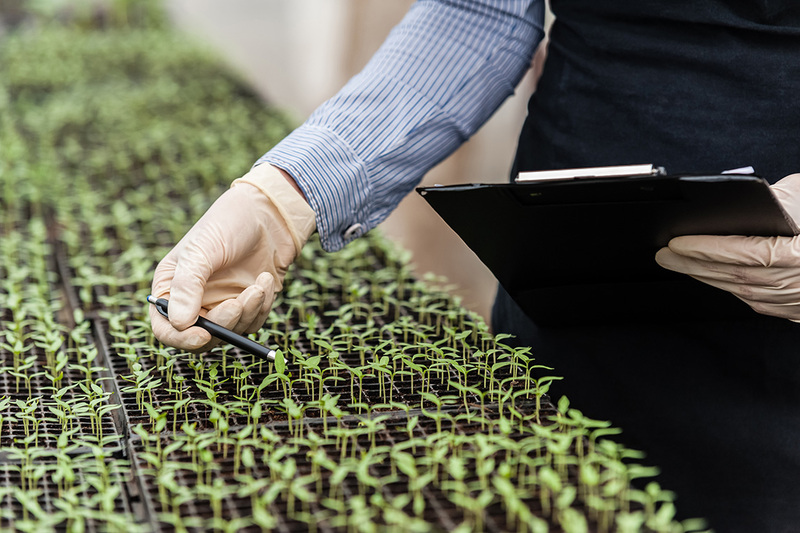 Our Laboratories seek to protect consumers by identifying exotic insects (and other invertebrates), invasive weeds and plant pathogens entering Los Angeles County through truck, ship, airfreight, and parcel delivery operations. The laboratories provide rapid and accurate identifications to support the Pest Detection and Pest Exclusion programs and offer identification and information services for Los Angeles County residents, schools, governmental agencies, growers, nursery and pest control operators. Overall, the laboratories process over 8,000 pest specimens submitted annually. If you would like to submit samples for identification or analysis, please click on the specific button below. 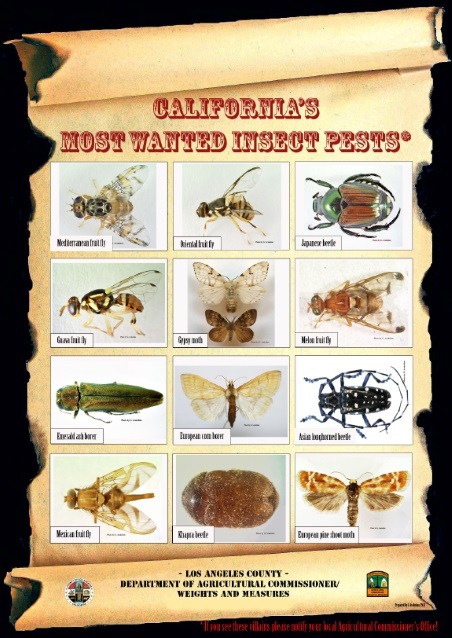 Requests for pest identification are accepted for specimens originating in Los Angeles County only. Click the photo above to download the poster. 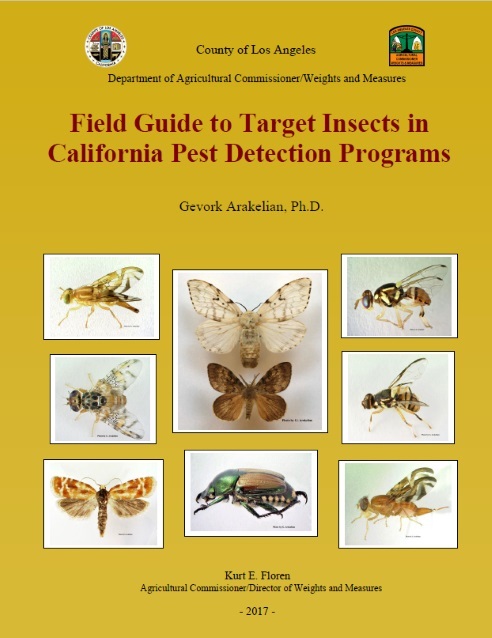 Click on the image above to open our "Field Guide to Target Insects in Pest Detection Programs"